"Cancer care is a “high-emotion” service, and the care team must not only effectively treat the disease but also address patients’ intense emotions." Cancer may not be life-ending, but it usually is life-changing. A cancer diagnosis instantaneously turns life upside down for patients and families. Cancer care is a “high-emotion” service, and the care team must not only effectively treat the disease but also address patients’ intense emotions. While accurate diagnosis and effective treatment are paramount, simple acts of kindness can be a potent antidote to negative emotions and may improve outcomes for those experiencing the frightening journey called cancer. A growing body of evidence reviewed at Stanford University shows that kind medical care can lead to faster wound healing, reduced pain, anxiety and blood pressure, and shorter hospital stays. I have long studied how to improve service in health care. My current work focuses on cancer care and includes field research at 10 innovative U.S. cancer centers and interviews with approximately 400 cancer patients, family members, oncology clinicians and staff. Cancer care is about more than the science, which has led to important advances in treatment. High-touch needs to complement high-tech. In a recent paper, co-authors and I explore how six types of kindness can improve cancer care. Do we really need to remind caregivers about the importance of kindness in serving seriously ill patients? Unfortunately, yes, as the stressors of modern medicine often interfere with good intentions. Let’s take a quick look at the six types. Listening intently to patients and families, with minimal interruption, conveys respect for their self-knowledge. It also builds trust. It enables the physician to act as a trusted guide who provides relevant medical expertise and translates it into a care plan consistent with patients’ values and priorities. The stakes are too high for the clinical team to be uninformed about a patient’s fears, practical concerns, home support system and personal priorities. Empathy represents an anticipatory kindness based on a caring assessment of the patient’s situation and likely stressors. At Henry Ford Hospital in Detroit, oncology fellows are trained in empathetic communication by improvisational actors who role play as patients and family members. The author, Leonard Berry, stands by the seven binders of data he collected after studying three Wisconsin health systems. Generous acts also build employee pride and can offer a renewing buffer to the emotional fatigue and stress that commonly accompany caring for seriously ill patients. Cancer centers can redesign their systems to deliver a bundle of getting started services to newly diagnosed patients within 10 days, establish a multidisciplinary clinic day when new patients meet each care team member to discuss the treatment plan, and open an urgent cancer care clinic to provide off-hours emergency service. Telemedicine and other technology-driven services also can minimize delays when time is of the essence. “Cancer is a high-potency word, a word without any positive associations,” states a cancer patient. Asking patients how much they want to know about their illness is informative and kind. Most patients want to hear the truth in honest, well-chosen words that convey a sense of partnership and that guide them through difficult decisions. Leonard Berry, left, and Dr. Jonathan Leighton, a gastroenterologist at the Mayo Clinic, in Arizona, while Berry was working on a study there. Oncologists face complex personal pressures to give patients every chance to live, and they face external ones – from patients or family members who do not want to give up. Although patients initially hope for cure or remission – focused hope – clinicians can guide them to intrinsic hope when the disease is advanced and cure or remission is improbable. Intrinsic hope involves living in the moment for a good day of positive reflection, a grandchild or a dog on one’s lap, and well-managed pain. Cancer patients commonly depend on family members for assistance with medical care, daily needs and emotional support. Family caregivers themselves require training, timely assistance and emotional care to perform their role and to maintain their own health. Research shows the benefits of preparing, empowering and assisting a patient’s family to effectively care for a loved one. The personal stories of patients, families and clinicians illustrate the impact of kindness in cancer care. 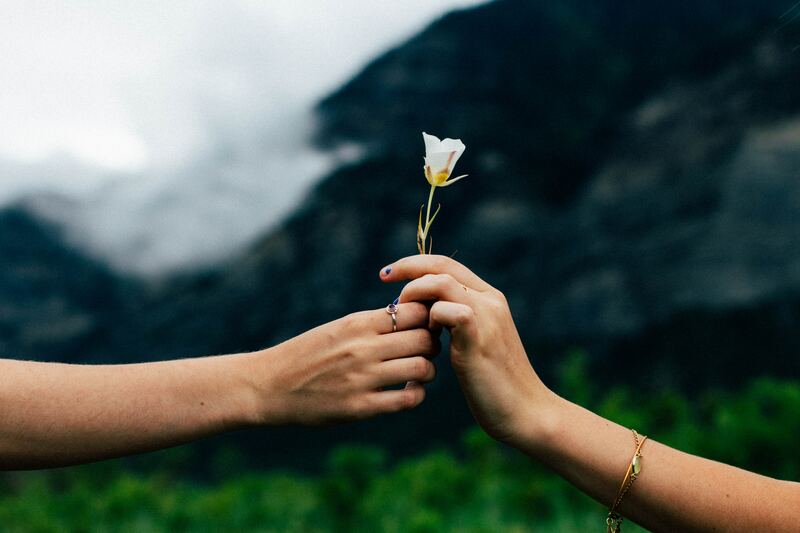 Six overlapping manifestations of genuine kindness offer a powerful, practical way for clinicians to temper the emotional turmoil involved with a cancer diagnosis. A patient is a person first. Caring for human needs as well as medical needs through kind acts is good medicine.